Tanzania has a very high rate of HIV/AIDS, 5% according to WHO estimates. Doctors with Africa Cuamm has been fighting against the disease here for over thirty years. Most recently we developed a pilot project focused on the "Test and Treat" model, adhering to new international guidelines. In Durban, South Africa, the International Aids Conference is taking place right now, with the goal of promoting access, equity, and the right to treatment for everyone. The fight against HIV/AIDS fits into Doctors with Africa Cuamm’s long commitment for health for all in the seven African countries where we work. In the north of Tanzania, in Bugisi, in the Shinyanga area, Doctors with Africa Cuamm has been developing a pilot project for a year seeking to develop the “Test and Treat” model to HIV. In 2016, 1,300 people were already treated and we are working to further develop the treatment program. What is HIV “Test and Treat”? The Universal Test and Treat (UTT) model is suggested by the World Health Organization‘s guidelines as a potential innovative system for treating and preventing HIV. It involves giving everyone in a particular area the chance to have voluntary tests and immediately gives antiretroviral treatment to all patients who test positive. The innovative aspect is giving all those who test positive automatic treatment and so reducing the chance that they infect other people and spread the virus. Right now, in most African countries, only HIV-positive people who have above a certain viral load threshold are given antiretroviral treatment. By focusing on the HIV Test and Treat method, it is hoped that within twenty years we could eliminate HIV as a public health problem and drastically reduce rates of contagion and death. 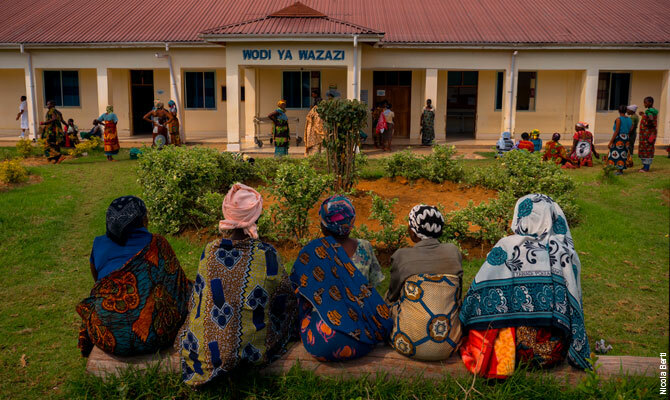 Cuamm’s history in Tanzania has a special connection with the fight against HIV/AIDS. In 1985, during the national conference of Tanzanian doctors in Tosamaganga, with the then Minister of Health, Stirling, a report presented by the Cuamm doctors working in the hospital of Bukoba was among the first to mention the existence of AIDS in Africa.